Just what the world needed. More complaining about imaginary persecution. Thanks Richard. THE GUARDIAN--Richard Dawkins wants America's atheists to stand up and be counted. He wants them to form a lobby that's capable of challenging the religious culture they inhabit. He says that about 10% of the nation is atheist - if these godless millions unite, then they can begin to influence national politics. Dawkins has even tried to start the ball rolling, by launching a movement called the Out Campaign. The name echoes the gay rights movement, of course, and so does Dawkins' rhetoric: he talks of coaxing the nervous atheists out of the closet. The implication is that atheists are at present victims of discrimination. 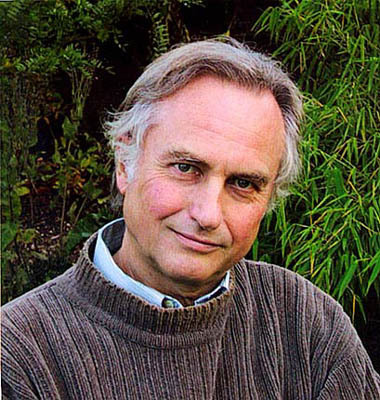 Dawkins cites the evidence of his postbag: he has received letters from atheists who are scared to come out, he says. Some fear the anger of families, others fear that they will be fired. "When you think about how fantastically successful the Jewish lobby has been, though, in fact, they are less numerous, I am told - religious Jews anyway - than atheists and [yet they] more or less monopolise American foreign policy as far as many people can see. So if atheists could achieve a small fraction of that influence, the world would be a better place." The comparison of American atheists to both homosexuals and Jews is very interesting. It is tantamount to crying: "Let's seek influence through posing as a victimised minority!" How Nietzsche would smile at the sight of a man so blatantly trying to foster a sense of resentment. American atheists "have been downtrodden for a very long time" he says, "so I think some sort of political organisation is what they need." What is it that Dawkins actually wants? On one level the gay rights analogy gives the answer: he wants an end to discrimination against this minority. Apparently Americans distrust atheists more than any other minority group, including homosexuals, recent immigrants, or Muslims. He wants a cultural change, in which atheism becomes seen as a perfectly respectable viewpoint. I stumbled on this website after the Sydney protest on the at B-Grade pile of rubbish on Mohummed. There was a link of which I understand is owned by the same blogger. I think Richards is spot on.... I certainly don't want more lobbying power as an Atheist then other people. But I do want them to be able to lobby Government to take appropriate action against the wrongs that have been committed to children by mostly the Catholic Church but also Protestant ones here in Australia. I want gay marriage to come in and an end the this rubbish that Australia is a "Christian" country - we are a free world secular country and our laws are based mainly on Greek thinking of Democracy - cetainly not Mosaic law. Why do we have compulsory scripture/religion classes? Why do Christian lobbys stop ethics classes as a volutentary alternative in state schools? Why are Churches, Scientology tax exempt - I know the US sadly lacks well behind in Economic freedom compared to Australia..... but here we live in a free market country. (#3 on the heritage index while US #10).I would like to see a one rule fits all. If Business or Churches give to charity by all means they should be able to apply for tax deductions. The second point is I was bought up by one Atheist and one Agnostic parent. We are always allowed to discover our own form of right and wrong. For a while both my brother and I became Evangelical Christians. I've since seen through Creationism and other such garbage and all have returned to atheism. My brother is now a happy homosexual. I'm a secular athiest justified by "works" and still donate to charity, still don't murder anyone... but now see the damage monotheism has done around the world. But this is the thing - what Evangelical, Jew or Muslim family would hold back and allow their child to think for themselves like my parents did? I think where Richard is coming from. I was also bought up a Leftist yet my parents never instilled in me a political view point. I've since move to what is known in the US a "Liberterianism" and have great debates with my parents concerning economic theory. I plan to bring my children up in the same way - let them find their own way.... This is where I think Richard is coming from and I think he is correct. David - I saw your videos on your other site... your a funny guy... Im amazed your involved in this evangelical garbage. Thats not to be offensive either. I took you for an athiest. Has Richard Dawkins EVER received an invitation to speak at ANY Muslim university? Atheists believe they are more intelligent than everyone. How does my faith in Christ make me any less clever than an atheist? 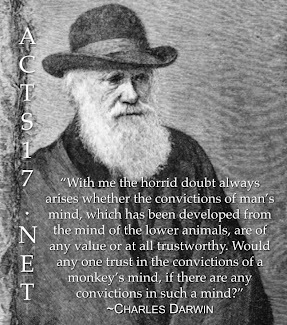 Religion has never claimed rationality therefore how can we as limited creatures argue it to and from rationality? wow man i truely believe what Psalm 14:1 says "A fool says, 'there is no God' "
hey David, you seem to constantly be on Islam, but if we where fair then why dont you engage in refutation of people like Dawkins, Kenneth Miller, Neil Degrasse Tyson etc? Why don't you invite Dawkins for a Debate since he is always trying to refute the Bible, you know what I'm talking about, unless your worried to face him? Gary, you say that creationism is garbage, and you clump all creationists together in one nice, neat bowl, which is absolute nonsense. I am a catholic who used to believe in evolution but left it for design because of the flimsy arguments for Macroevolution . Destiny as far as someone like neil debrassi tyson, while he's a good astrophysicist, he's a retard when it comes to Philosphy . His bad design argument has to be one if the worst arguments against design that I have ever heard. He rants and raves about how certain organs could have been placed in other parts of our body to allow us to do multiple things at a time or why we need 8 hours of sleep, which to an unimaginative idiot like tyson would be a waste of time. I will take tyson even further. Why didnt God make us out if steel to be more durable, why not make the universe last forever. Why not give us an extra set of eyes in the back of our heads. See the pattern of philosophical stupidity? I sure do and I'm a layman. Tyson's argument for lousy design assumes that our designer attempted to create us with the purpose to live forever in this material realm, with. No suffering, no spiritual growth and no experience or true wisdom. The bible never stated this and in fact states the opposite, that we were created to dwell with God forever in heaven, where every tear is wiped and we will be loved for eternity by our Lord. As a philosopher neil degrassi tyson ranks right up there with the dumbest retards of all time . Someone like William lane craig would make an absolute mockery of him in minutes. What a shame that they actually allow an idiot like tyson to form philosophical opinions, but I admit that is why I love our country, for its freedom of expression. I know that tyson doesn't like to be labelled an atheist, but if it quacks like a duck and walks like a duck , it is a duck. At least hit hens was honest enough to admit what he was and even debated the great Christian philosophers of our time , but tyson is nothing but a philosophically childish coward.